This book grew out of a common and deep-seated concern. As colleagues on the same faculty, we discovered that we were both using parallel and complementary materials while caught up in a flurry of talks, speeches, and workshops with educators who were worried about some of the trend lines in school reform, about the way young people think of their own future, and about some of the relatively simplistic educational reforms being advocated, often by people with scant comprehension of modern educational practices. (Read more) BEARE, H. & SLAUGHTER, R. A. 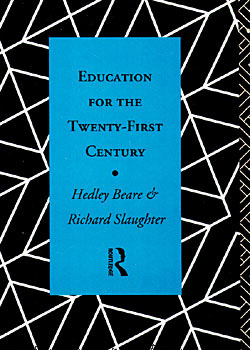 Education for the 21st Century, Routledge, London: xii + 180 (1993). ISBN: 0-415-11523-X paperback; 0-415-06832-0 hardback. 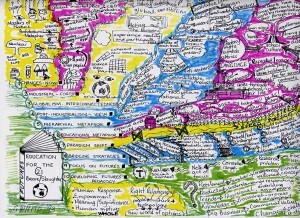 Here is a mind map of the book (courtesy of artist G. White). 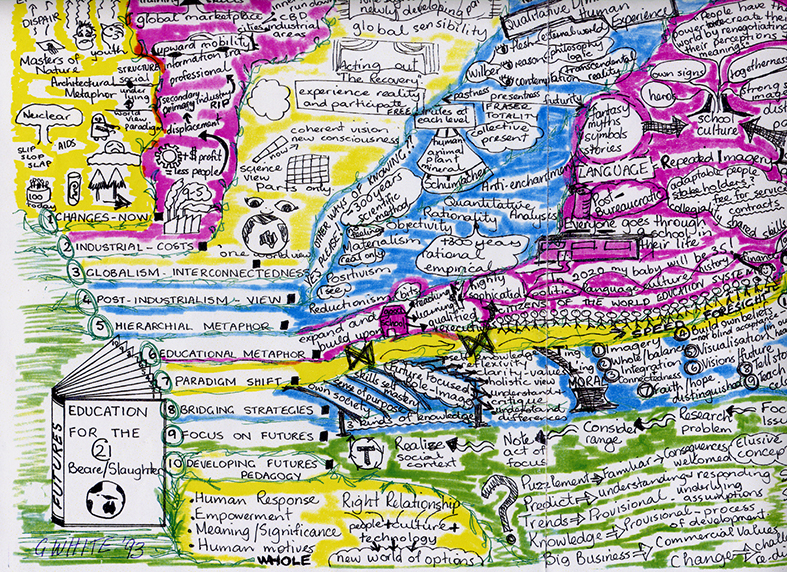 It provides a succinct graphic overview of key concepts and themes.